U.S. Representative Doug Lamborn Supported President Trump’s National Monument Review. 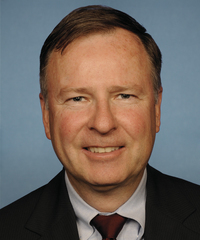 U.S. Representative Doug Lamborn Opposes Permanently Reauthorizing the Land and Water Conservation Fund (LCWF). U.S. Representative Doug Lamborn Opposes Placing Limits on Public Land Transfers. U.S. Representative Doug Lamborn Opposes Sage Grouse Habitat Protection. U.S. Representative Doug Lamborn Opposes Efforts to Limit Methane Pollution.